At The Center for Implants and Aesthetics at Englewood Dental, our Orthodontic Specialist, Dr. Karolyn Kopcza, provides the most cutting edge treatment for both children and adults. Invisalign ® or invisible braces are a popular option for many adults who want to straighten their teeth in a non-obtrusive way. Dr. Kopcza will design a series of smooth, plastic, unnoticeable aligner trays that have been custom designed for you and only you. You simply wear each tray in succession, for approximately two weeks, as prescribed. Then you begin the wearing the next successive tray. The trays are clear and can be removed for meals and for brushing. No one will even notice that your teeth are shifting and realigning as you go about your normal activities. Imagine – no metal brackets, no wires, no need for frequent dental visits to tighten your braces! You can attend social events or business meetings with confidence while improving your appearance. The trays can be removed, which allows for favorite foods to be eaten, unlike traditional braces which can break if something too hard or chewy is eaten. And the smooth plastic trays are much more comfortable than protruding wires and metal brackets. Another added benefit – teeth can be frequently and more thoroughly cleaned and flossed lessening the chance of dental and gum disease. One of the biggest challenges of having traditional braces is removing all the food that gets trapped in the brackets and wires. This can often lead to plaque buildup and eventually tooth decay. Straight teeth are more than just cosmetically pleasing. 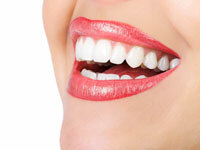 In making the decision to straighten your teeth, you are making an investment in your overall good health as well. Swollen, red gums can often be the result of having teeth that are crowded or too widely spaced. Unfortunately, these are also signs of periodontal disease. When teeth are properly aligned, it helps the gums fit more securely around the teeth, allowing for the strongest and healthiest defense against potential periodontal problems. Tooth decay and gum disease are caused by bacteria. Left untreated, they can cause mouth sores, tender or bleeding gums, bad breath, and possible tooth loss. Studies by the American Dental Association have shown that oral infections can also lead to other more serious ailments such as heart disease, stroke and diabetes. And correctly aligned teeth can also alleviate the issues that can be caused by an improper bite, speech or chewing difficulties, jaw problems, and increased wear on the tooth enamel. Invisalign ® effectively addresses all of these orthodontic issues, so you’ll have the confidence of a great smile and increase the likelihood of improved oral health. Call our office today at Center for Implants and Aesthetics at Englewood Dental Phone Number 201-871-3555 for a free consultation (normal value $165) with our orthodontist. Dr. Kopcza will be happy to explain more about Invisialign ® and if it would be right for you.